Watercolor wreath of green ivy; bonus wreath included. 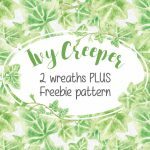 Are you looking for a watercolor clip art wreath of ivy creeper for a particular project? 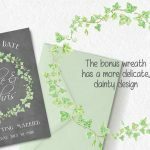 This listing is for a wreath designed with hand painted green ivy. 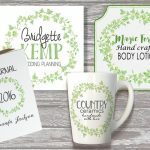 Ideal for scrapbooking, decoupage, labels and logos. 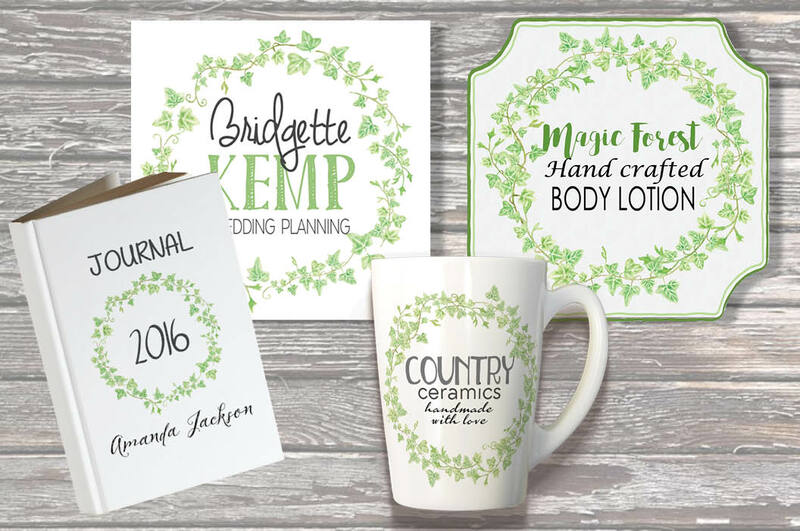 Great for adding a rustic touch to wedding and other stationery. 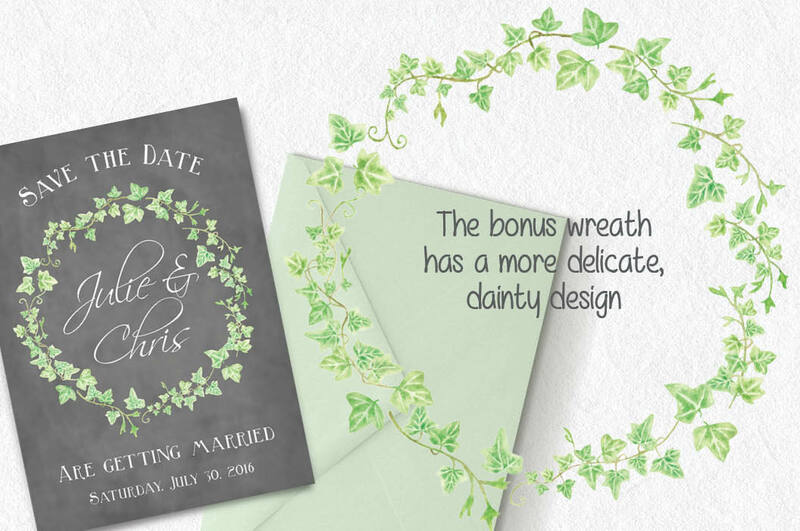 The listing includes a second ivy wreath, designed in a more dainty style. 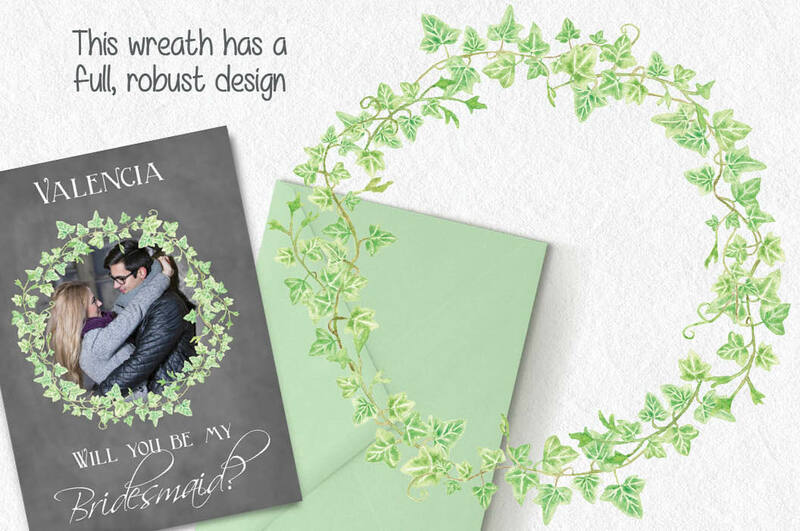 With this purchase, you’ll be able to co-ordinated items using the two wreaths. 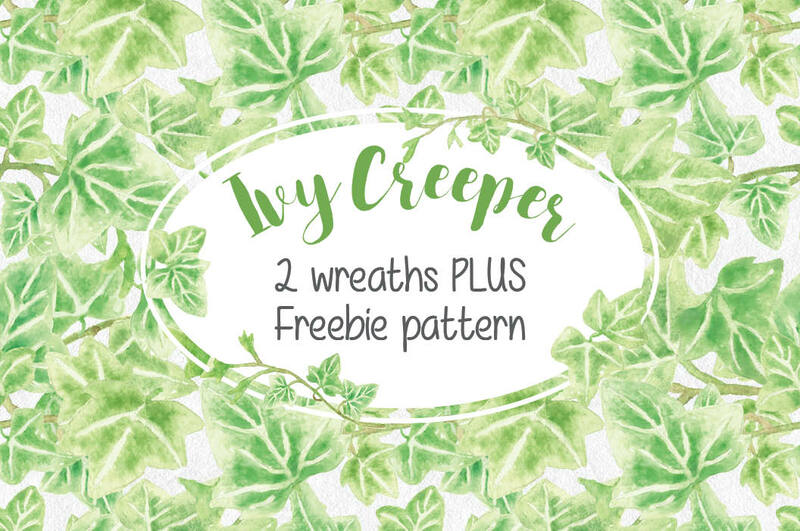 Treat yourself to a preview of the artwork by downloading a seamless pattern in an ivy design, absolutely free! 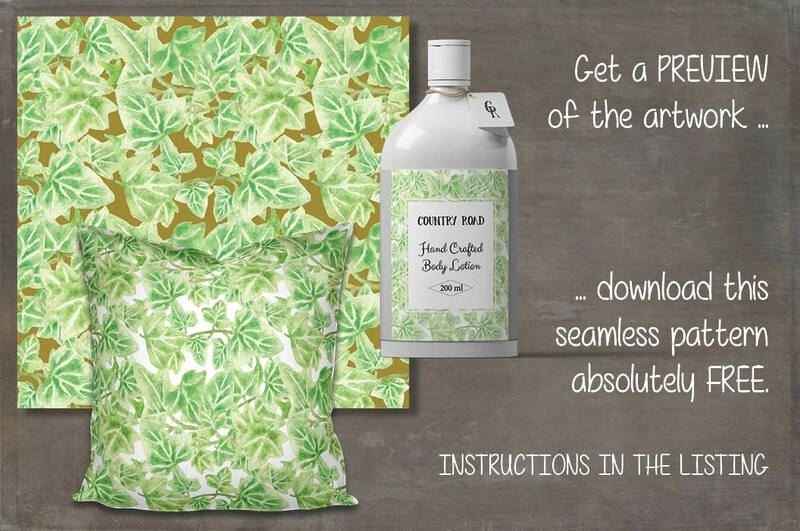 Have fun with the pattern! 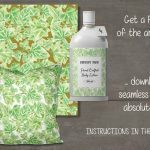 The JPEG pattern file has a color background. The pattern measures 12 inches X 12 inches (3600 X 3600 pixels). 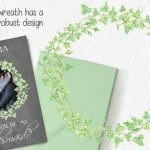 1 zipped folder is immediately available for download following purchase, containing the 2 wreaths and the pattern (JPEG and PNG) – 6 files.